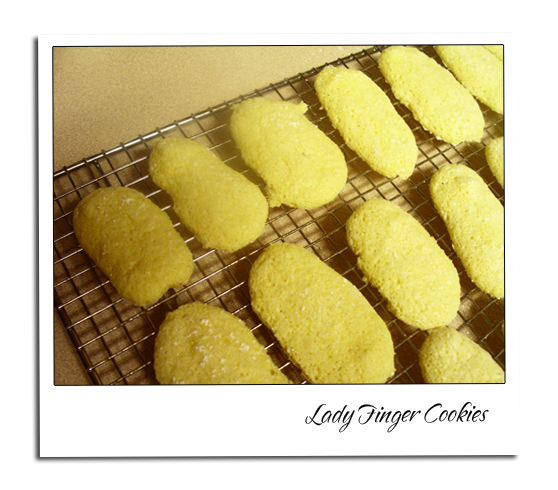 Lady finger Cookies are light and sweet sponge cakes roughly shaped like a large finger. 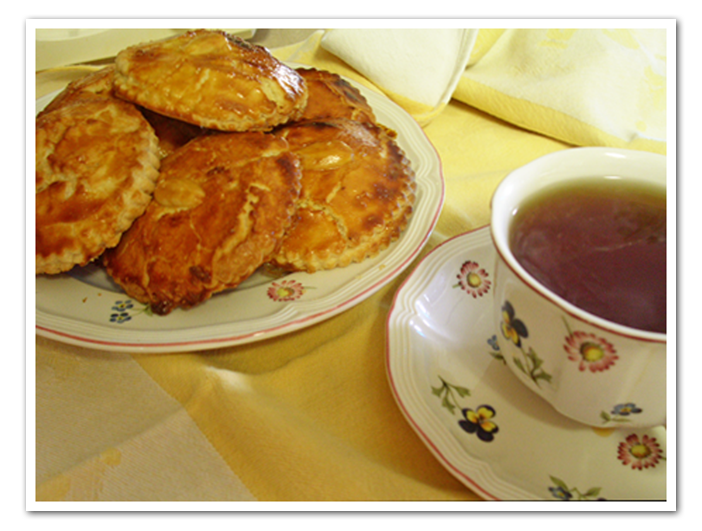 They are called savoiardi in Italian (meaning “from Savoy”), or in French biscuits à la cuillère or boudoirs. In the UK they may be called sponge-fingers, trifle sponges or boudoir biscuits. In Persian they are called latifeh . In Dutch, they are called lange vingers, literally translating to “long fingers”. In Germany they are called Löffelbiskuit, which translates to “spoon biscuit”. 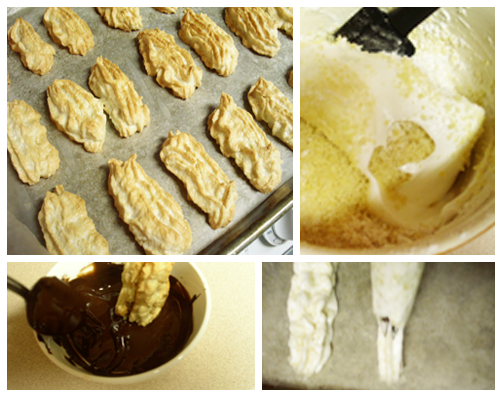 Ladyfingers are a principal ingredient in dessert recipes. Today, their more common usage is in trifles, charlottes, and tiramisu. They are typically soaked in a sugar syrup or liqueur, such as coffee for the tiramisu dessert. Ladyfingers originated in the late 15th century at the court of the Duchy of Savoy, and were created to mark the occasion of a visit of the King of France. Later they were given the name Savoiardi and recognised as an “official” court biscuit. They were particularly appreciated by the young members of the court and offered to visitors as a symbol of the local cuisine. A flour-free version of the ladyfinger is a popular Passover dessert. 1. Preheat oven to 350 degrees F (180 C) and line a baking sheets with parchment paper. Separate the egg yolk of the egg white. Beat the egg yolks and 2 tablespoons (25 grams) white sugar on high speed for about 5 minutes, or until the mixture becomes thick and pale yellow. Yes you do need to beat them for at least 5 minutes. Add in the vanilla extract. 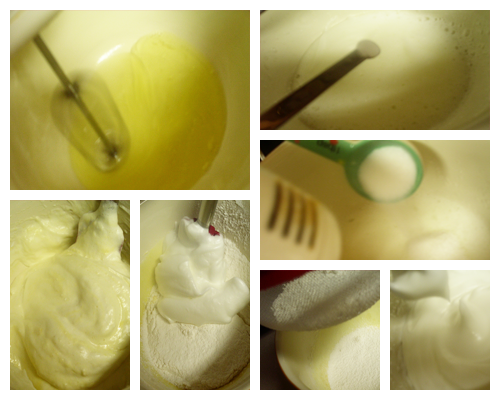 When you raise the beaters the batter should fall back into the bowl in a slow ribbon. 2. In a clean bowl, whip the egg whites until foamy. Add the cream of tartar and continue to beat until soft peaks form. Gradually add the 3 tablespoons (36 grams) white sugar and whip until stiff peaks form and the whites are glossy. Sift the cake flour over the egg batter but do not fold in. Then add the whipped whites into the egg yolk and flour mixture. Don’t over mix it. 3. Put the batter to the pastry bag, pipe the batter into 3 inch (7.5 cm) long ladyfingers. Place the powdered sugar in a wire strainer, and lightly sift the sugar over the tops of the cookies. Bake for 8 to 10 minutes or until the ladyfingers are firm but barely browned and are still spongy when pressed with a finger. Remove the baking sheets from the oven and slide the parchment paper from the baking sheets onto a wire rack. Let the ladyfingers cool for a few minutes and release them from the parchment paper, with a flat spatula, while they are still warm. If you left them completely cool before removing them from the parchment they stick and hard to remove without breaking. Finish cooling the ladyfingers on the wire rack before using or storing. If you are not using the ladyfingers right away, freeze them. Ladyfingers stale very quickly unless they are soaked in a liquid. To store, place in a plastic bag between layers of wax or parchment paper and freeze up to 2 weeks. Preheat oven to 350 degrees F (180 C) and line a baking sheets with parchment paper. 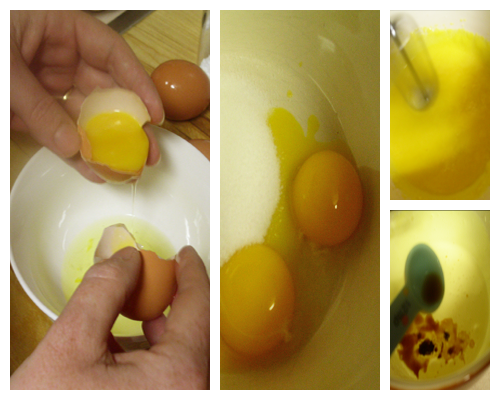 Separate the egg yolk of the egg white. Beat the egg yolks and 2 tablespoons (25 grams) white sugar on high speed for about 5 minutes, or until the mixture becomes thick and pale yellow. Yes you do need to beat them for at least 5 minutes. Add in the vanilla extract. 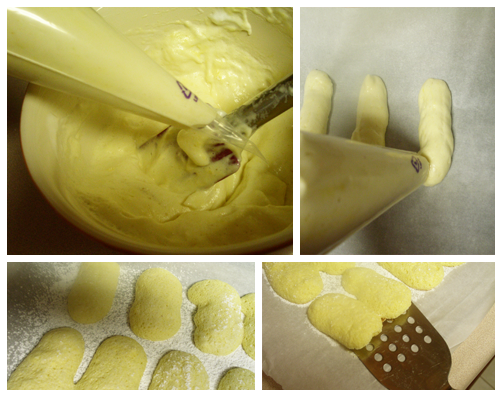 When you raise the beaters the batter should fall back into the bowl in a slow ribbon. In a clean bowl, whip the egg whites until foamy. Add the cream of tartar and continue to beat until soft peaks form. Gradually add the 3 tablespoons (36 grams) white sugar and whip until stiff peaks form and the whites are glossy. 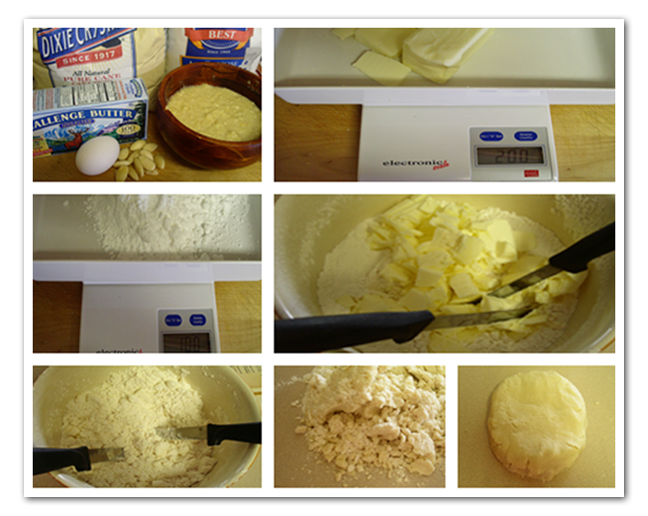 Sift the cake flour over the egg batter but do not fold in. Then add the whipped whites into the egg yolk and flour mixture. Don't over mix it. Put the batter to the pastry bag, pipe the batter into 3 inch (7.5 cm) long ladyfingers. Place the powdered sugar in a wire strainer, and lightly sift the sugar over the tops of the cookies. Bake for 8 to 10 minutes or until the ladyfingers are firm but barely browned and are still spongy when pressed with a finger. Remove the baking sheets from the oven and slide the parchment paper from the baking sheets onto a wire rack. Let the ladyfingers cool for a few minutes and release them from the parchment paper, with a flat spatula, while they are still warm. If you left them completely cool before removing them from the parchment they stick and hard to remove without breaking. Finish cooling the ladyfingers on the wire rack before using or storing. If you are not using the ladyfingers right away, freeze them. Ladyfingers stale very quickly unless they are soaked in a liquid. To store, place in a plastic bag between layers of wax or parchment paper and freeze up to 2 weeks. 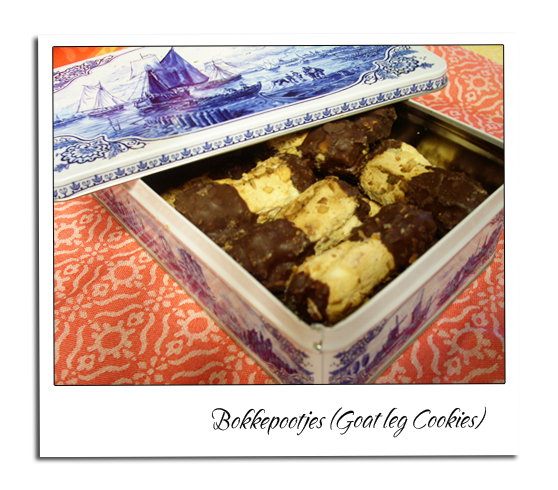 A gevulde koek is an almond cookie made of dough and butter with a sweet filling. 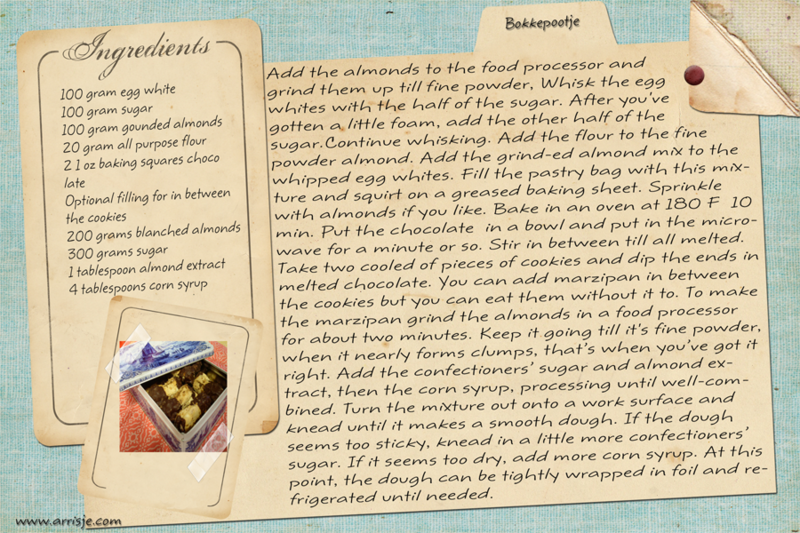 Almond paste is the most common filler. An almond cookie with a diameter of about 10 cm, a half almond on top. 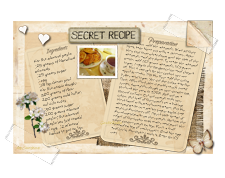 The top of the cake is shiny brown, an effect that is achieved through to cover the dough with beaten egg. It is a typical Dutch bakery item. The cookie is eaten with coffee, tea and hot chocolate. The cheaper versions ( the one you mostly buy in the supermarket) are not always filled with almond paste, many of them filled with beans instead of almond paste. Rondo (also called Amsterdammertje) and a canoe have the same ingredients as an almond cookie, but baked in a mold. Rondo is a round and an elongated canoe. 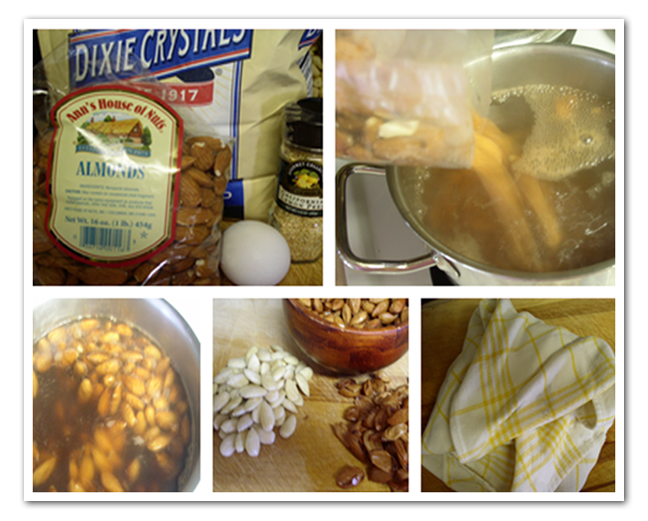 Boil some water and add the almonds. Wait till they float to the top and take them out with a skimmer. After they cool somewhat down peel the skin of the almonds, and dry them. 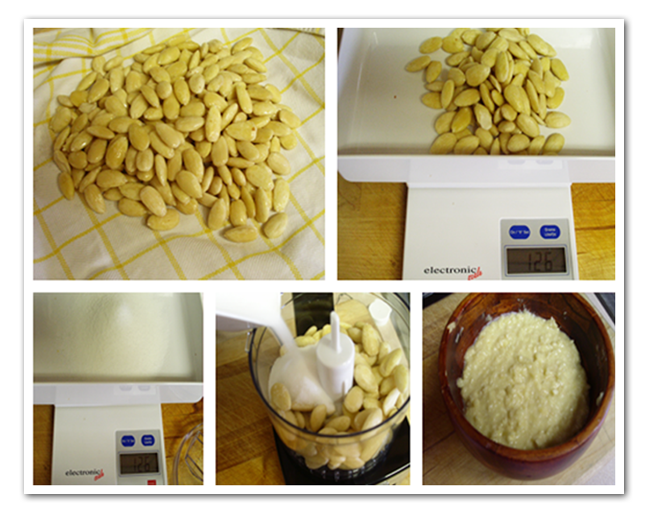 To make the almond paste, add 125 gram almonds, 125 gram sugar, 1 egg to the food processor and chop it up. This is enough for the cookies you are about to make. Sift the flour add the cutup butter and sugar. You cut the butter into the flour. 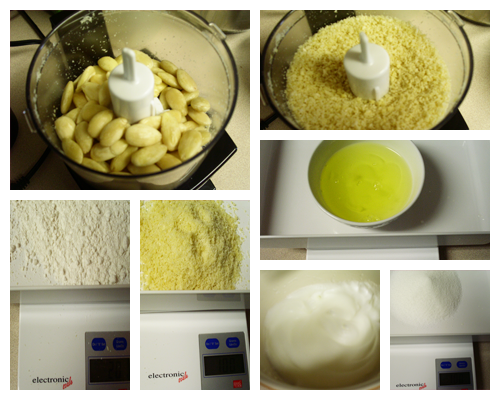 If you have a large food processor let the food processor do the work for you. After the butter is pretty much small lumps, knead the dough on your counter top. Preheat the oven to 350F. Roll out on a floured surface. Cut out rounds with your (preferably fluted) cutter. Put half of the rounds on a baking sheet lined with parchment paper. 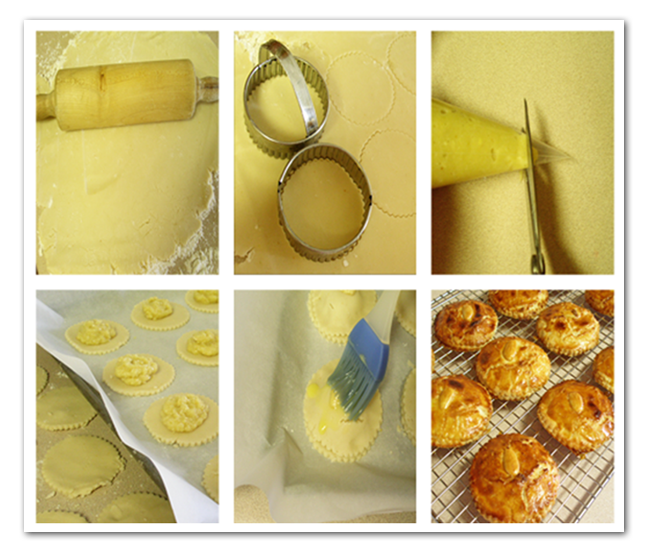 Put the almond paste in a pastry bag or ziploc bag and cut the corner off. Squirt little heaps of the almond paste on the rounds. Moisten the edges of the cookie with water and press the other cookie rounds on top. 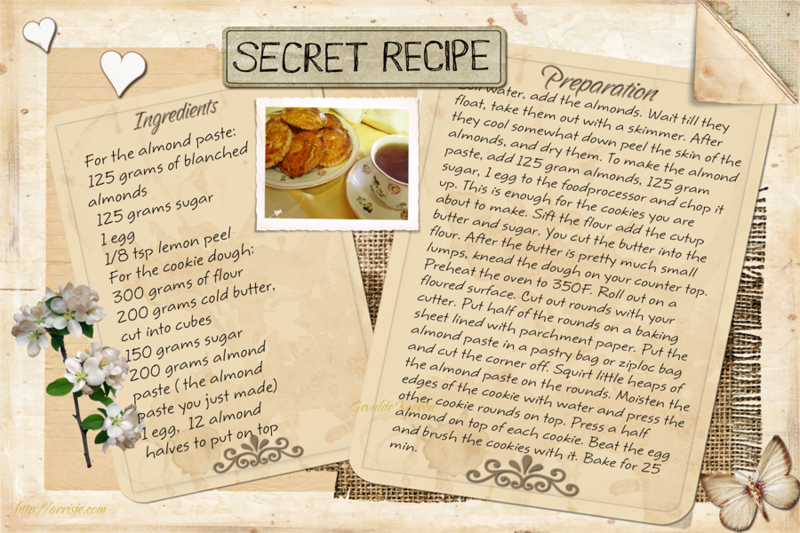 Press a half almond on top of each cookie. Beat the egg and brush the cookies with it. Bake for 25 min. If they are not golden brown just put your oven on high broil that will do the trick, keep an eye on it because it takes no time to brown them.